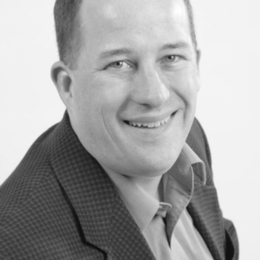 Mark Petersen is the Executive Director of the Bridgeway Foundation, based in Cambridge, Ontario. This private grantmaking foundation's mission is to collaborate with innovators to grow healthy and productive non-profit organizations, and to help them engage in creative transformational projects. Bridgeway is committed to working in partnership with non-profit organizations to enhance organizational effectiveness and to enable a better delivery of program services. Mark leads Bridgeway's daily operations, resulting in the strengthening of 85 organizations in 2007. He also directs Bridgeway's annual awards program which highlights innovative best practices in the social sector. Most recently he is the author of a blog on faith and philanthropy entitled Open Hands. Mark's background includes a B.A. in History from University of Waterloo, and a M.Div. (1991) from Tyndale Seminary, Toronto where he met his wife Karen Hillmer (MTS 91). Over a ten-year period, he worked with non-profit organizations to grow leadership in church communities in Latin America, Asia, and North America. He serves on the board of Image, a quarterly creative arts journal based in Seattle, and is chairing the development of Canadian charitable status for Word Made Flesh, which creates incarnational communities of service and partnership in the world's most demanding urban poor environments. He now resides with his wife, Karen, and two sons, Daniel and Nathan, in Mississauga, Ontario.